The Keystone XL pipeline got an emphatic endorsement Monday from a powerful backer of President Barack Obama who questioned the handling of the file. 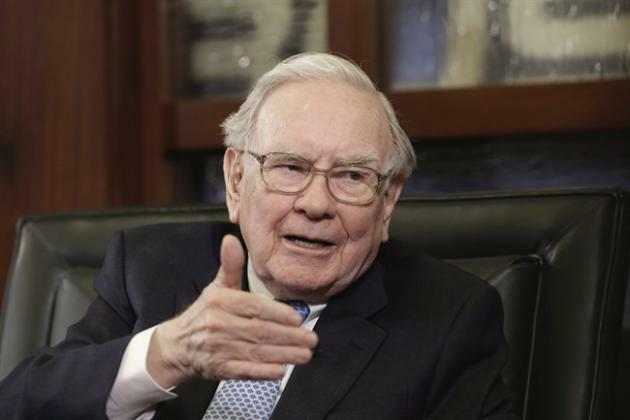 To billionaire investor Warren Buffett, the delay is a thumbing of the nose at Canada. "I would have passed Keystone," Buffett said in an interview with CNBC. "I think that we have an enormous interest in working with Canada, as they have in working with us. That oil is going to get sold. If we make it more difficult for them, who knows how they'll feel about making things more difficult for us someday." Because Buffett owns interests in the rail industry, in addition to oilsands holdings, there had been some speculation that he might have stood to benefit from a Keystone rejection. But he has expressed support for it in the past, and did so with particular force Monday: "That (oil) is a valuable resource of North America, and Canada has been a terrific partner over the decades, and for us to kind of thumb our nose at them, you know, (that's) not what I would do." Buffett has been a donor and occasional political ally of the president, notably on the issue of increasing taxes for the wealthy. As for the pipeline, Obama has vetoed legislation on it and has made increasingly critical remarks about it, prompting widespread speculation that he's gearing up to reject it. A prominent pipeline opponent in Nebraska said it should now be clear that the opposition movement isn't being bankrolled by the state's wealthiest resident, the so-called Oracle of Omaha. "Well, (hope) this puts to bed all of those rumours from the right that Bold is funded by Buffett," said a tweet from Jane Kleeb, the founder of the group Bold Nebraska, which has organized landowners fighting the project. It wasn't the only development welcomed Monday by pipeline supporters. The Washington Post's "Fact Checker" feature also tore into Obama's repeated claims that the pipeline would do nothing but export Canadian oil. The Post pointed out that in addition to Canadian bitumen, the pipeline would also carry oil from North Dakota and Montana to U.S. Gulf Coast refineries. It gave the president the worst possible truth-telling score — "Four Pinocchios." It said Obama's statements contradicted the findings of his own State Department's review. "Clearly, the report remains unread," said the Post piece. "If he disagrees with the State Department's findings, he should begin to make the case why it is wrong, rather than assert the opposite, without any factual basis."